This summer’s Campus Safety Conferences (CSC) are once again sponsored by Transact* and are the premier security, emergency management and public safety events for K-12 schools, colleges and universities. Campus Safety is pleased to announce that Transact, a leading provider of campus credential-based transaction, payments, privilege and security management solutions, is the event sponsor of the 6th Annual Campus Safety Conferences being held in Las Vegas, Dallas and Charlotte, N.C., this summer. 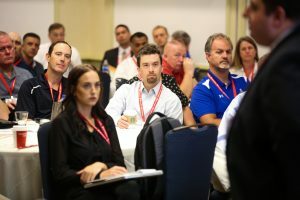 Campus Safety Conference (CSC) WEST will take place June 17-19 in Las Vegas; CSC TEXAS will be held in Dallas, July 21-23; and CSC EAST will take place in Charlotte, N.C., August 6-8. To register, visit CampusSafetyConference.com. The Campus Safety Conferences (CSC) are the premier events that bring together law enforcement agencies, safety and security departments, emergency managers, school administrators, student affairs, counselors, facilities managers, technical directors and consultants from across the country looking to discuss the latest trends and best practices, along with solutions to the most pressing school and higher education safety, security, emergency management and technology challenges. These conferences offer multiple one-of-a-kind learning experiences, including educational sessions, demonstrations and interactive training. Additionally, all three CSCs offer and encourage attendees to take advantage of the networking opportunities provided, including the networking breaks, hot topic sessions, sponsor showcases and receptions where attendees will learn from industry experts and share ideas with one another. 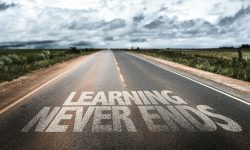 Campus Safety Conferences offer an intensive learning experience, combined with a relaxed environment so attendees can build relationships and engage with one another. As the CSC event sponsor, Transact will present during the opening keynote, highlighting the best practices associated with implementing a comprehensive education-focused security system into a campus environment. 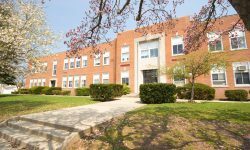 They will also provide insights on how to develop a unified security plan with a system designed exclusively for a school or college campus. 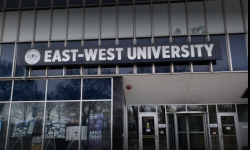 Designed specifically for the unique requirements of the educational community, the Transact Security Management System (SMS) allows you to manage your campus physical security needs with a complete, enterprise-class system with integrated access control, video surveillance, and monitoring capabilities, making campus security more comprehensive, but at the same time, easier to manage. For more information about the Campus Safety Conferences, including the agenda, schedule, speakers etc., please visit CampusSafetyConference.com. For product and service vendors, the Campus Safety Conferences offer a variety of sponsorship packages to fit all exhibitors’ needs. Certain packages are available for a limited time. For more information, please e-mail Steve Nesbitt, Steve.Nesbitt@EmeraldExpo.com. 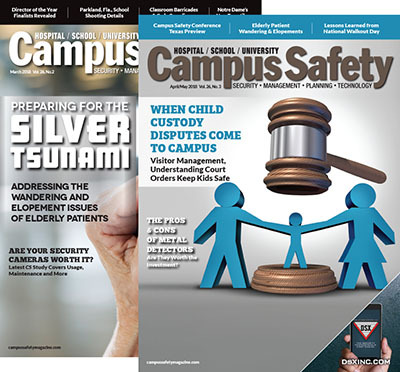 Campus Safety (CS) magazine and CampusSafetyMagazine.com exclusively serve campus police chiefs, security directors, IT personnel, emergency managers and executive administrators involved in the public safety and security of major hospitals, schools and universities in the United States and North America. The magazine is issued eight times per year and is distributed to more than 18,000 campus safety and security professionals nationwide. 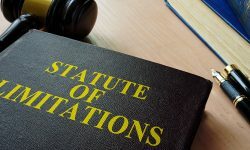 Online, Campus Safety attracts an average of over 94,000 users each month and is growing rapidly to serve the needs of the expanding campus safety market. CS is a product of Emerald Expositions, the leading operator of business-to-business trade shows in the United States. Emerald currently operates more than 55 trade shows, as well as numerous other face-to-face events. As a market leader in credential and payments solutions and a first-mover innovator in NFC mobile credentials, Transact partners with institutions to elevate their student experience through transformative credential-driven transactions, privileges, and payments. Transact is headquartered in Phoenix, Arizona and has served the education community for over 25 years. Learn more at www.blackboardtransact.com.